Another danger to your collection resulting from summer’s high humidity is pest invasion. High RH levels encourage moisture-loving insects to colonize your collection storage areas. Not all are “heritage eaters,” as one conservator has termed them. But it is good to monitor these critters and do your best to identify and ultimately control those that could be damaging your collections. 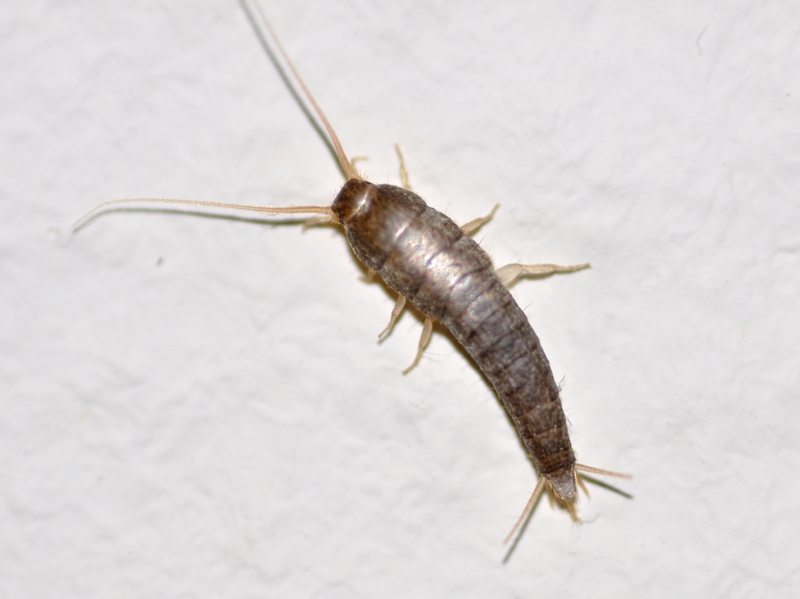 Among the biggest summer threats are silverfish and cockroaches. Like mold, both thrive in warm, dark spaces. Both love to eat musty paper and cardboard and can become major forces of destruction. Silverfish, especially, need high RH levels to survive. 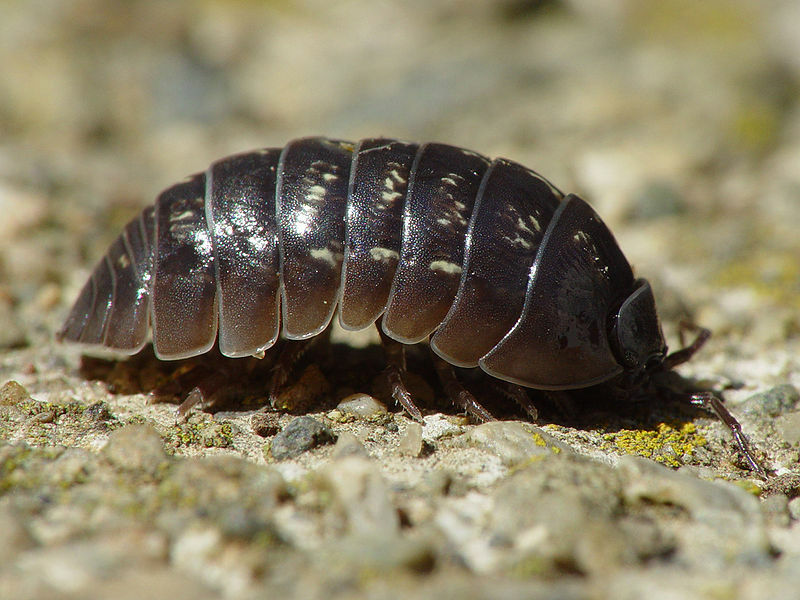 Other bugs, such as roly polys (crustaceans, not insects) love humid environments, and although they do not pose a threat to your collection, their presence can serve as a warning sign that conditions are ripe for a silverfish infestation. The same bi-weekly summertime inspections of storage areas that we recommend to guard against mold outbreaks can be helpful in determining whether an insect problem exists. If there is an infestation, you will either see the insects themselves, their leavings (frass, egg sacks, casings), or damaged areas on artifacts. To help you spot harmful bugs before significant losses occur, place sticky traps along baseboards and windowsills. Identify the numbers and types of bugs stuck to the trap regularly. Resources such as www.museumpest.net and NC State University’s Entymology Department, http://www.cals.ncsu.edu/entomology/bug, can help if you are not sure about the pest or the collection danger it may pose. Of course, North Carolina’s varied geography and climate means that different parts of the state will experience different insect threats. For instance, the mountain areas have few roach problems, while roaches in the Piedmont and Down East grow to nearly mouse size and fly! We’d love to hear from around the state about battles you may be waging against heritage eaters and methods you’ve found to be successful in keeping them at bay. Those of us involved with cultural heritage collections understand that our institutional holdings constitute a public trust. Consequently, we must not only preserve the collections but also ensure that they benefit the public in some way. Director of the Santa Cruz Museum of Art and History, design consultant, and blogger Nina Simon has written extensively on museum participatory experiences. She contends that visitor participation fits naturally in a history museum, where visitors can often relate to the familiar objects on a personal level. Also, because so many cultural heritage institutions are small and community-based, they have great capacities to create meaningful social opportunities amongst their constituents. (Read her discussions on http://museumtwo.blogspot.com and www.participatorymuseum.org.) The trick is finding ways to allow visitor-driven content to infuse the public spaces of the museum. 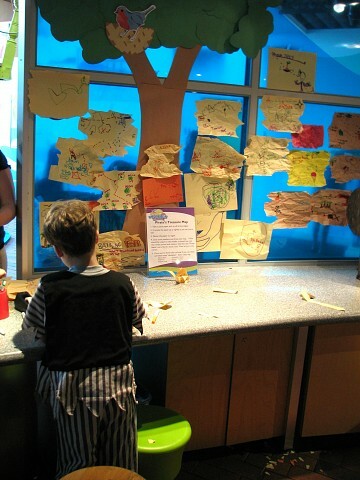 Marbles Kids Museum in downtown Raleigh is one place where participants contribute content for exhibits. We are fortunate in North Carolina to have a history museum on the cutting edge of developing visitor participatory experiences. The Levine Museum of the New South in Charlotte has won design awards and set a nationwide example with its use of talking circles to spark group discussion and engagement on challenging historical topics like race. The difficulty for smaller museums in replicating this idea is providing the staff necessary (called “circle keepers” by another museum) to sustain the activity. Still other participatory experiences at large museums involve expensive technology, such as touch screens, and filming equipment, and projectors. 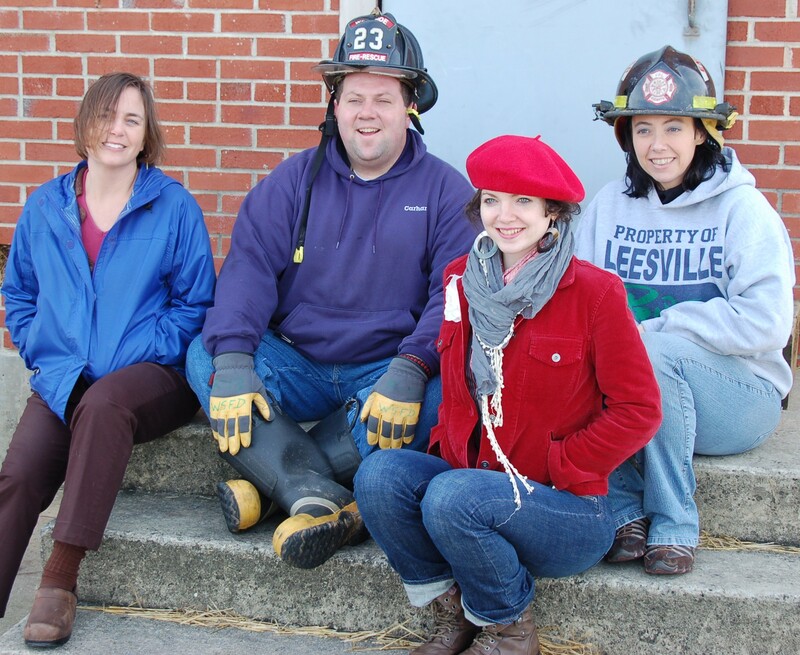 Although activities involving additional staff and computerized exhibition elements may be beyond the reach of most of NC’s nearly 1,000 cultural heritage institutions, several fairly simple and inexpensive participatory ideas can help to forge stronger bonds between the collection and the communities it exists to serve. 1. ballot box: ask visitors to vote for their favorite artifacts. Allow space on the ballot for them to explain why. Create a chart to reflect responses after you’ve collected enough data and print some of the most colorful and/or representative comments in large type for others to read. A social media program, like Facebook, can reinforce this museum experience. 2. photograph album with comment spaces: this is a suggestion our Historic Sites colleague, Dusty Wescott, made recently to a small historical society. By setting up an archival photograph storage album as an interactive in the gallery, museums can allow visitors to study the collection and “crowd source” to gather information about it. Every other album page should be left empty to receive one or more pages of visitor comments (on acid-free paper, written in pencil, of course). Visitors should be encouraged to add to the provenance of the image and/or simply interact with it by completing a statement like “this scene reminds me of…” Have volunteers “seed” the album with comments to get the interactive going. 3. roll imagining/ playing: assign each visitor an identity based on your site’s actual past inhabitants. Have participants figure out where they would have slept, what type of food they would have eaten, etc. based on their status and demographics. More organized visitor groups can even engage in roll playing exercises with their assigned identities. 4. scavenger hunt: a great idea, especially for groups including children. This activity encourages visitors to look more closely at objects. Reward those who complete the challenge with a pencil, postcard (related to your site, of course), or other item. What other participatory experiences have worked at your site? Please share your ideas for low-cost interactive experiences! Conservators who research preservation environments urge those of us caring for cultural heritage collections to develop a more sophisticated set of target ranges for both temperature and humidity. The simple guideline of 70 degrees Fahrenheit and 50% relative humidity does not reflect optimal preservation conditions. The ideal depends upon the collections materials; for instance, a lower RH of 35-45% is best for metals storage. Where human comfort is less of a factor and when RH can be controlled, colder is usually better. As a further complication, experts are now thinking in terms of acceptable ranges of RH, with the understanding that allowances for seasonal fluctuations are best for a more holistic, institutional and environmental approach. Even with these more complex and contingent ideas about collections storage environments, RH levels can readily creep into the danger zone during a North Carolina summer. Once the RH level tops 65%, mold will grow. The cobalt humidity indicator card that sits on my office bookshelf serves as a reminder of this threat. 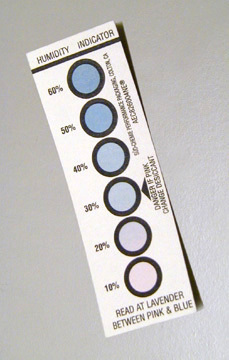 This is the type of inexpensive humidity indicator that we give out at our collections care workshops, and although there are many other higher tech environmental monitors on the market, these strips are great for both micro-environments and low-budget institutions. Today, as the outdoor temperature tops 100 degrees, the lavender circle is at the 60% mark. If your institution’s climate control system is operating at maximum capacity and still cannot maintain an RH at around 50%, then you need to take extra precautions during this season of high humidity levels. 1. Inspect exhibit and storage areas: of course, you’re doing this already, but in summer you may need to walk through twice a week to watch for the tell-tale fuzzy white growths on wood and brown splotches on paper. 2. Install fans: Air circulation is the best thing you can do to prevent mold spores from settling on artifacts. 3. Light storage areas strategically: Natural light is a good deterrent for mold growth but has damaging effects, especially for paper and textiles. For some types of materials, light can be part of the solution; even periodic use of artificial light can help. 3. Remove dust covers from furniture: Although collections care guidelines recommend these, they will inhibit your inspections and give mold dark, still arenas to colonize. If you must use covers, tyvek is preferable in that it will not absorb moisture from the air. 4. Consider adding silica gel to archival storage boxes and exhibit cases. Because boxes are porous, you will need quite a bit of silica gel to dessicate. 5. Look into equipping your space with a dehumidifier to use seasonally: Make sure you have the facility and/or the staff to drain the collected water as needed. 6. When possible, isolate moldy objects from the rest of the collection. Freezing is an option to kill the mold. Vacuuming in the open air, preferably with a hepa-filter vacuum is an effective treatment, but unless RH levels can be controlled, mold will re-grow. Keep cool and fungus free! The C2C program will now be posting regular discussions on various topics relating to cultural heritage collections in North Carolina. We hope to provide a forum for our statewide network to raise concerns, suggest strategies, and recommend local resources. Please join in with your comments or contact our staff at any time with questions. Summertime in our state can be pretty intense and some of the extreme conditions can develop into dangers for North Carolina’s cultural heritage collections. High humidity, hurricanes, and pest invasions are a few of the most damaging. Stay tuned for some discussions about these threats and give us your feedback to keep the collections conversations going!